A beautiful piece of jewelry goes a long way in accessorizing your outfit for work or a night on the town.We offer a large assortment of jewelry selections that will the perfect gift for someone you love or for yourself! The jewelry experts at Howard’s will help you find the perfect piece that represents your style and fashion. We offer affordable layaway plans that make gifting or purchasing for yourself easy on the pocket book. Layaway With Affordable Payments Plans Available! Click through our selection of items below! 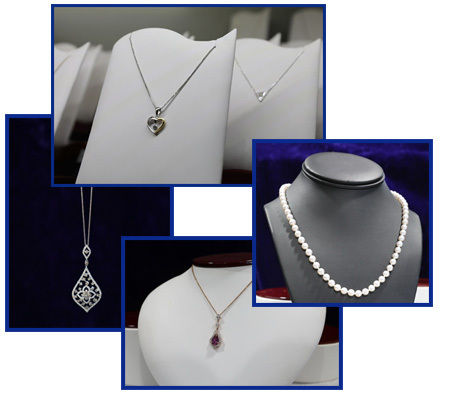 Accent your sense of style and make a fashion statement when you wear a charming pendant or necklace from Howard’s Jewelry. Women of all ages love our jewelry; we have something to please every lady’s taste. Matching earrings and bracelets are available for a complete chic look. 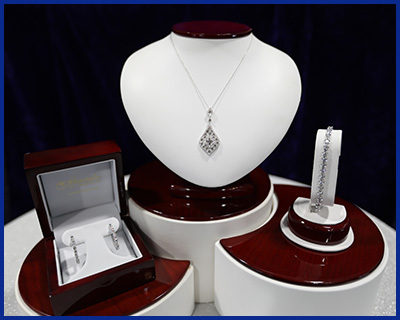 Our jewelry experts will help you find the perfect combination! At Howard’s Jewelry, our wide selection of beautifully crafted bracelets has everything you’re looking for to find the perfect bracelet that will match any look. Whether you’re looking for yourself or a loved one, bracelets are an excellent choice for any occasion. Perfect for holidays, birthday gifts, anniversaries or just because, bracelets are the ideal accessory for both casual and fancy looks. 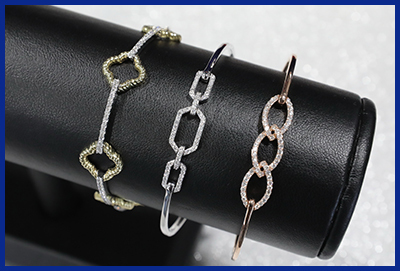 Go elegant with diamond bracelet, or add some flair to your outfit with a fun bangle, cuff or charm bracelet. Perfect for any occasion, rings are worn for a variety of reasons, from simply adding a stylish accessory to symbolizing a life-long commitment. A ring is the most symbolic piece of jewelry, especially with its ties to love. Rings come in all different types of precious metals, styles and designs, making them the ideal accessory and the perfect gift for anyone. 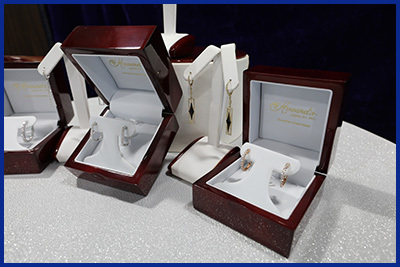 Let your ears sparkle with our amazing selection of beautiful earrings at Howard’s Jewelry. Our earrings come in an array of different styles such as diamond earrings, drop earrings, hoop earrings, stud earrings and solitaire earrings. Find these earring styles in all your favorite precious metals such as rose gold, yellow gold and white gold. 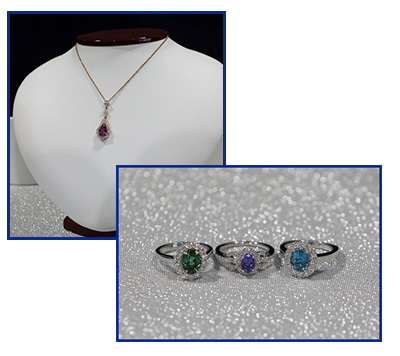 Add unique style to your wardrobe with one of the many colored gemstone options from Howard’s Jewelry. Add that personalized touch to your jewelry when you choose your favorite color, gemstone, and setting. You’ll have a piece of jewelry that is truly unlike any other. 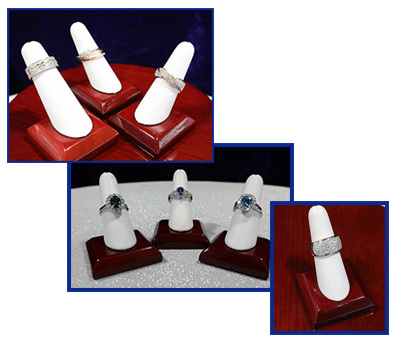 High-quality colored stones to choose from! Beautiful in pendants, necklaces, rings, earrings, bracelets and birthstone jewelry!